Experience the annual fall tradition in the lovely Middleburg hunt country at The Virginia Fall Races, where your only interruption to a relaxing day will be the cheer of 10,000 excited fans and the storming of thundering hooves! Take part in The National Steeplechase Association's (NSA) 123rd year and 64th running of the the Virginia Fall Races on Saturday, October 12. Come sense the history while watching steeplechase action at the oldest continuous race course in the state of Virginia. Glenwood Park and the rolling race course on its grounds, sits amongst the lush hunt country one mile off of Route 50 in Middleburg. The 112 acre park was established in 1911 and is maintained today by a private trust left to the people of Virginia by the late Mr. Daniel C. Sands, a local fox hunter and avid sportsman. Every autumn as leaves begin to color, the Virginia Fall Races meeting holds its annual race meet on the second Saturday in October. This year's 65th running promises to be one of the leading meets on the 2019 Fall Steeplechase Circuit. The day starts at 9:00 A.M. with the Finals of the Theodora A. Randolph Field Hunter Championship. The flag drops for the first race of the afternoon at 1:00 P.M. with an afternoon of first class timber and hurdle racing. 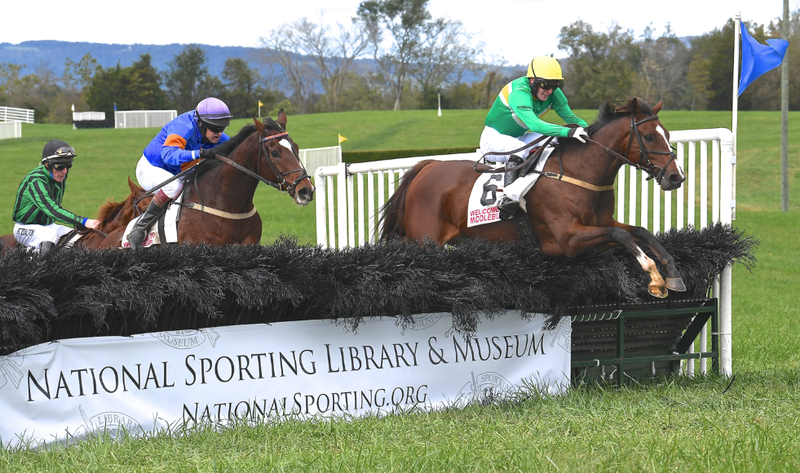 Highlighting this year's meet is the National Sporting Library and Museum Cup with its purse of $40,000, which brings the best seasoned timber horses to run over the famous Glenwood course against the backdrop of the Blue Ridge Mountains. With a children's fair of pony rides, a petting zoo and other activities, plus the "Vendor Village" with many tents stocked with enticing attractions, the afternoon has something for all ages and interests! The Virginia Fall Races benefit INOVA Loudoun Hospital Foundation in nearby Leesburg and is a highly regarded community event. Since its inception in 1955, this race meeting has consistently contributed more money to the Foundation than any other sporting event.